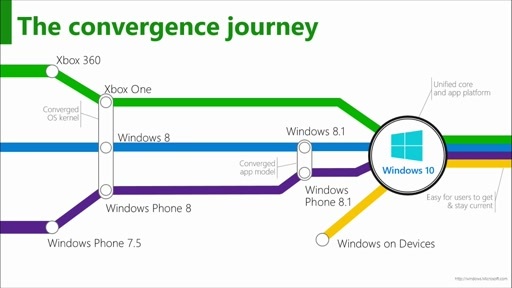 Take a look at the migration process for single Windows Store or Windows Phone 8.1 apps and for Windows 8.1 universal apps. Apps built for Windows 8.1 run fine on Windows 10 devices, but to take advantage of the many new features in the Windows 10 platform or to extend your app to run on additional device families, you'll need to migrate them. Apologies- publishing error. Should be OK now. 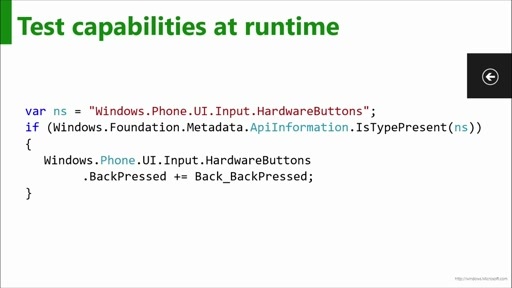 why MSFT likes to make app developers life difficult ? every new release we have to keep releasing make changes. Why can't you learn from Android ? How to convert c++/cx project to windows 10? The upgrade tool fail with c++/cx projects. So how do Universal Apps help with lack of Back Buttons on Windows Tablets (And desktop) I have heard talk of a "Global Back Button". Does this mean Windows 10 Tablets will finally come with proper Back Buttons (and Search/Cortland) like We have on Android Tablets ? How do I migrate my Windows Phone 7 XNA games into UAP ? Will all my Windows Phone XNA games still run in WP10? Hi Andy, do you have a download link for the Contosso Cookbook sample that you used in the demo? We are in process of upgrading some apps and hoping this utility will help if its there. If I have a windows 8.0 silverlight app and i do a re implementation to a UAP app, How do i handle upgrade of the app through the store ? if a current user upgrades their phone to Windows 10 is there a way of upgrading the application or is it now a separate app essentially and they would have to uninstall the existing app and download the new UAP app ? I am getting message that VS 2015 needs to be updated after loading upgraded project. It says click for update, but when it navigates to https://msdn.microsoft.com/en-us/default.aspx and I don't know what update I need. this link is not working, please share an alternate of it. Could you please guide about its configuration or how could I update my windows 8.1 project to universal app for windows 10 by using this script? Any idea what direction I can try? Thanks!